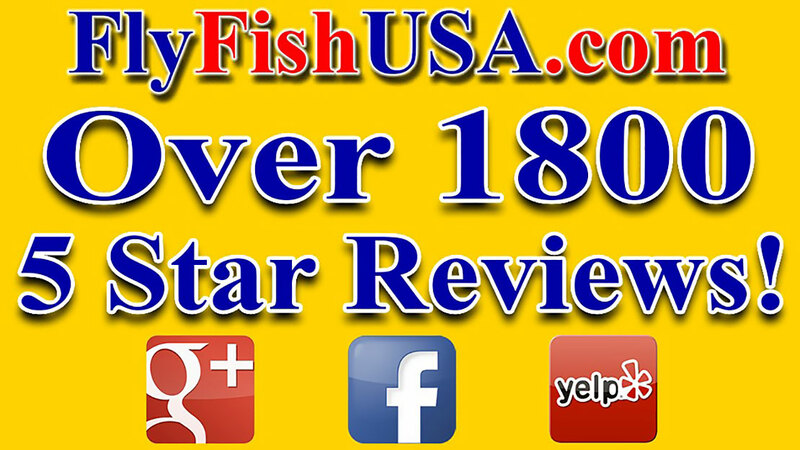 The other day while surfing the internet, I happened to notice that another fly fishing specialty shop was bragging about the fact that they had accumulated 26 five-star reviews on their web presence from happy customers. Knowing that people usually are not driven to write reviews, and especially when they are happy, that constitutes a lot of work in the right direction. So, I got to wondering how many Five-Star reviews we have, and texted my son Derek who manages those kinds of things for www.FlyFishUSA.com. I was shocked with the answer: 1,800+ Five-Star reviews from happy customers. Looks like my team has been doing a good job of pleasing people. Thanks to all of you folks who wrote reviews, and thanks to Team FlyFishUSA.com for doing such a fine job.